Kyne is bringing its healthcare PR expertise to the West Coast and to Europe, with new operations launching in Los Angeles and Dublin, Ireland. 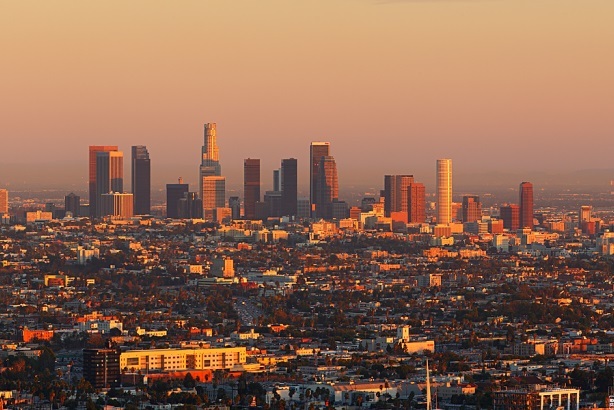 Kyne is launching new offices in Los Angeles (above) and Dublin. NEW YORK: Kyne has brought on three senior leaders to help strengthen and grow its newly launched offices in Los Angeles and Dublin, Ireland. In Los Angeles, former Amgen director of corporate affairs Wendy Woods-Williams has been named EVP, and Amgen’s former US medical lead for biosimilars, Sadie Whittaker, PhD, was appointed as head of medical and scientific affairs. Woods-Williams and Whittaker will work to expand Kyne’s services on the West Coast and manage existing California and Washington-based clients. Orla Barnewell, previously with Tonic Life Communications in London, was tapped as VP and European Union leader in Dublin, where she’ll focus on growing business throughout Europe. David Kyne, founder and CEO of the firm, said it was time to expand based on new business opportunities and "immediate client needs, especially on the West Coast." Specific details on the West Coast client were not disclosed. The agency works in sectors such as pharmaceuticals, biotech, government, foundation, and nonprofit, said Kyne. Advocacy strategy with biotech is currently a "big area of growth" for the firm, which it’s looking to grow in California, he added. Kyne said the firm has heeded a shift in healthcare PR, which includes government foundations and nonprofit organizations taking on programs together, and "combining all of those resources, interests, and needs into one cohesive program that could have a bigger impact." The Dublin office was inspired in part by global work for pharmaceutical and biotech clients that wanted the agency to expand its advocacy and partnership efforts to Europe, explained Kyne, adding that the firm chose the Irish capital in part for its pharma and biotech talent. Kyne is "hiring on all fronts," said the chief exec, including in the New York office. He said he envisions the new offices in Los Angeles and Dublin to "grow pretty rapidly." Woods-Williams said her experience working both on the client and agency side affords her the "unique perspective" to empathize with client challenges, such as proving a return on investment. Kyne said he knew Woods-Williams and Whittaker from past working relationships. A recruiter helped him find Barnewell because the firm "needed someone who had broader European experience," he said.